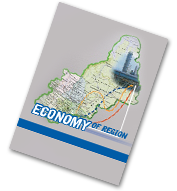 Archive - Main - Journal "Economy of region"
Russia’s economic power rests upon large business. Thus, it is essential to develop taxation models for maintaining the balance between the interests of both entrepreneurs and the state, while saving high national budget capacity and business activity. We analyzed a new mechanism of profit taxation regulation for consolidated groups of taxpayers (CGT) in order to assess the impact of CGT on budget revenues formation. Research results have confirmed the hypothesis about low efficiency of tax consolidation. The CGT regime leads to unfair tax revenues distribution among sub-federal budgets, creating budget planning uncertainty. Examples of largest ironworks corporations reveal destructive influence of CGT on regional budget revenues formation: our calculations have illustrated that at least in four Russian regions annual budget losses range from 3 to 9 billion rubles. We have demonstrated the correlation between balanced calculation of tax base within CGT and profit taxation minimization as the main source of corporate owners’ growing welfare. Reduced tax burden of consolidated taxpayers is not accompanied by intensified investment activity. We have concluded that consolidation of tax liabilities has led to formally legitimate but unprofitable optimization. A steady decline of tax revenues from consolidated groups has intensified destabilizing processes in regional budget systems and has become a motive for CGT abolition by the government. Considering that consolidated groups formed in the period from 2012 to 2013 will operate until 2023, we propose measures to neutralize the negative consequences of their functioning. Copyright (c) 2005-2016 Institute of Economics, the Ural branch of the RAS. All rights reserved.